The ComSoc YPs Award Committee is currently accepting submissions for the ComSoc YP awards until 6 Nov, 2017. Recipients will be announced during this event. To apply, please, follow this link. Research, innovation and commercialization are three crucial elements to sustainable growth of a knowledge-based economy. Knowing what are the opportunities and challenges at each of these stages is beneficial to a researcher, engineer, or scientist. A special session on this topic is brought to you by the IEEE Young Professionals (YP), IEEE Women in Engineering (WIE) and IEEE ComSoc Women in Communications Engineering (WICE). Join us on Dec. 5th at the MBS Expo for this session and for networking with friends and colleagues. Please register here for free. Registration is on a first come first served basis. Juliana advocates for innovation and digital transformation throughout her 15 years of work in US, UK Japan and Singapore. Inventor to several patents/applications and registered designs in US, Europe and Japan, Juliana has a background in Computer Science (UK), Intellectual Property Law (Singapore), Digital Acceleration (US), and International Business Management (Singapore). 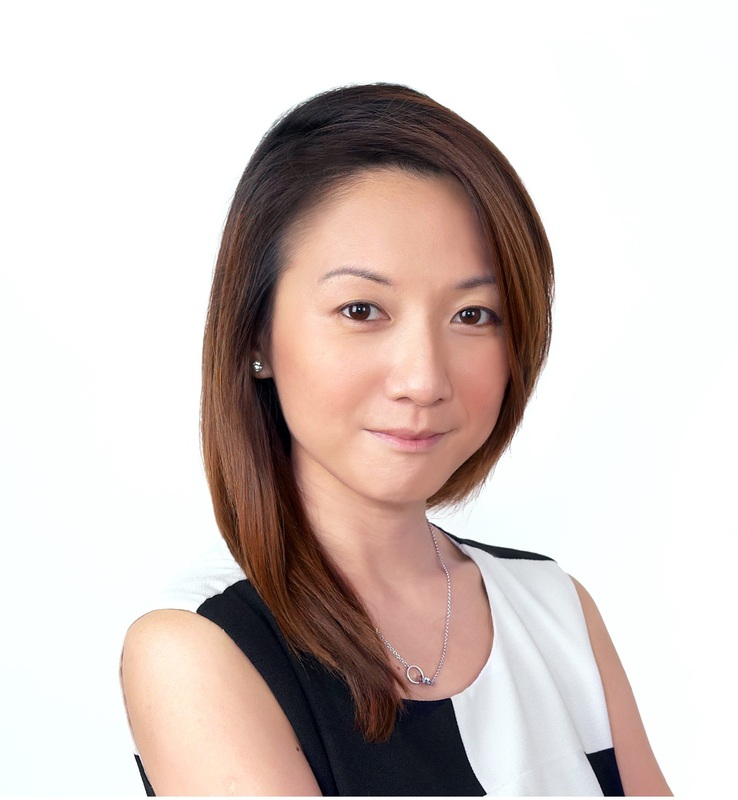 Most recently, Juliana was Director for the IP Office of Singapore (IPOS) International responsible to strategy partnerships with multinational corporations and law firms in USA, Japan, China, and ASEAN including Singapore. During her 19 months with the office, Juliana opened the US and China markets for IPOS with the Fortune 100 companies, tripled the international patent filings, and put together a global IP conference with participants from over 35 countries. In her past 15 years of bringing innovation to commercialisation, Juliana served the World #1 innovation leader (IBM in the UK, Hursley Labs), Asia leading law firm (Spruson & Ferguson from Australia), Singapore largest technology transfer office (Exploit Technologies, A*STAR), Japan leading materials MNC (Nitto Denko), Singapore government (IPOS International), and also launched 2 startups (Zensorium and RunSocial) into the digital health and fitness space. Outside of work, Juliana spends her time with the family, loves nature and is an avid volunteer with various organisations. Elaine Wong received her PhD degree in Electrical and Electronic Engineering in 2002 from the University of Melbourne, where she is currently Associate Dean, Diversity and Inclusion, of the Melbourne School of Engineering (MSE). Since her PhD, she has been funded through the MSE Women in Engineering Research Fellowship and more recently the Australian Research Council Future Fellowship. She has previously held visiting positions at the University of California, Berkeley and Google, Inc. USA. With a background in optical communications specialising in optical network planning, resource allocation, and energy-efﬁcient technologies, Elaine’s current research is focussed on investigating frontier optical technologies to enable the vision of human-machine interaction. She is working towards solutions that would enable time-critical and ultra-reliable response in communication networks. Achieving this would in turn, allow much-needed applications such as automatic control of exoskeletons for physically-disabled persons, remote medical diagnosis and surgery, and time-sensitive management of natural disasters and environmental threats, a reality. Always looking to translate advance technology and engineering into tangible and impactful outcomes, Elaine and her colleagues from the Department of Electrical and Electronic Engineering have also recently developed a working prototype for an optical laser device that detects impending, non-protruding hazards like changes in road surface or kerbs. While the long-cane is efficient at detect “protruding hazards” like traffic lights and light poles, this predictive device is much-needed to detect uneven surfaces and drop-offs, common “non-protruding hazards” that effect the ageing or mobility-challenged whose vision is impaired. Elaine also has a keen interest in encouraging STEMM careers. Acknowledging a majority of future careers will be hinged on the knowledge of STEMM, Elaine is determined to address the current lack of STEMM learning materials especially in computer coding for vision-impaired and blind children. Recently named as a 2016 AMP Tomorrow Maker, Elaine will use the Award to develop a series of accessible app-based programming lessons to teach these children how to code. 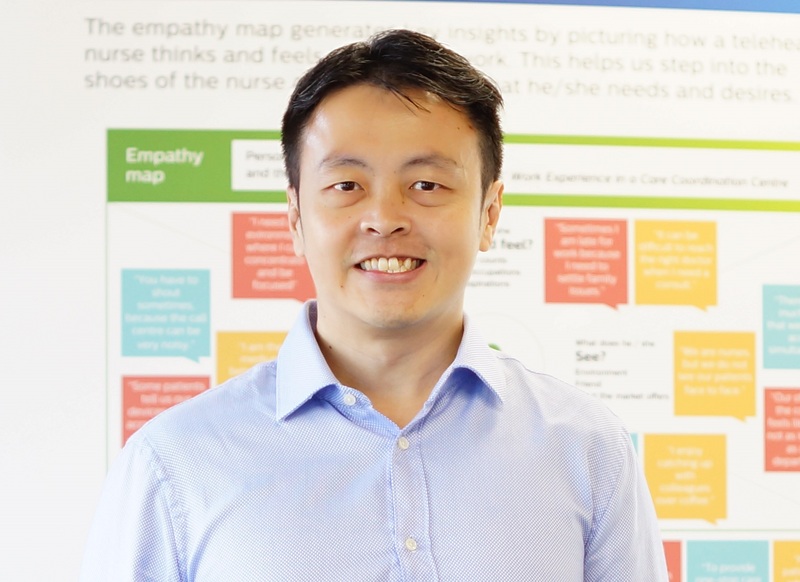 Kelvin leads the corporate partnerships role in NUS Enterprise and also heads up the Business Development in Smart Systems Institute. He is identified with driving corporate accelerator programs like Bayer Grants4Apps, Mercedes Startup Autobahn and Huawei i5Lab as well as corporate challenges/hackathons with SIA, Loreal, P&G, Microsoft, SMRT, Ikea and China TianHe Guangzhou. He is also the NUS Enterprise lead for the 3-year old Modern Aging program which inspires startups to develop innovative services and products for the silver industry. Currently, he is involved with research area is in telehealth which investigates the advanced technologies applicable in the active aging in the community. Prior to joining NUS, he founded an interactive multimedia startup and held management positions in HP, AT&T, M1, ServTouch-WyWy and Telecoms Authority of Spore. Anselm heads corporate venturing at Philips in the ASEAN & Pacific region. Philips is a global HealthTech company aiming to improve 3B lives a year by 2025. Anselm leads investment in startups and collaborates with entrepreneurs to improve health outcomes. He is a mentor, speaker, panelist, judge, trainer, and consultant, at programs to catalyse innovation and commercialisation. 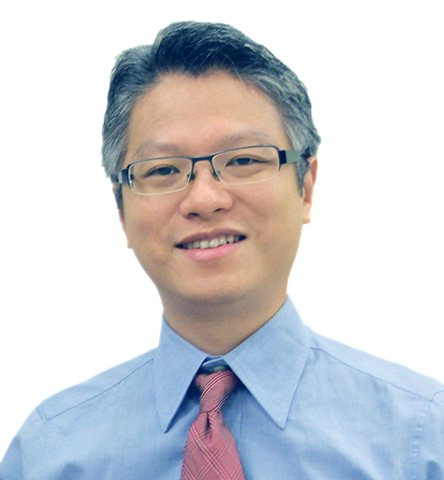 Anselm has an Electrical and Electronics Engineering degree from Nanyang Technological University, and is a Chartered Accountant of Singapore, Fellow and Chartered Certified Accountant, and Stanford Certified Project Manager. His areas of specialisation include digital health, venture capital, open innovation, and business development. Dr. Yifong Wang is an associate professor of Southern Taiwan University of Science and Technology (STUST). He majored in business mathematics in his undergraduate and focused on studying actuarial science. During his early ages, he got his M. Math from University of Waterloo 1993, Canada and Ph.D. from University of New Mexico, USA. He is a senior faculty of STUST, and served as chairman of Department of Leisure, Recreation and Tourism Management. Since 2013, STUST got a granted 15 years -contract from Ministry of Culture to operate The Tainan Culture and Creative Park which located in the center of Tainan city. Dr. Wang was entitled as a general manager to plan and supervise the practical business on the site since 2013. With a fruitful experiences and active social connections, he was assigned by STUST to serve one more important position, the director of Innovation and Entrepreneurship Incubator Headquarter of STUST. With a strategic planning and outstanding leadership, the Innovation and Entrepreneurship Incubator Headquarter of STUST got many credits including University Incubator of the Year awarded by The International Business Innovation Association (InBIA) in USA 2016 and the certificate of merit from the Taiwanese central government in 2017. Since 2017, the Small and Medium Enterprise Administration (SMEA) of the Ministry of Economic Affairs singed a contact with STUST and outsourced STUST to manage the governmental Incubator located in Southern Taiwan Science Park. Dr. Wang currently is in cooperating many international VCs and accelerators for start-up companies on the site. He is continuing working for a mission to establish an efficient and friendly environment for the innovation and start-up businesses and investors in Taiwan. Dr. Yonggang Wen (S’99-M’08-SM’14) is an Associate Professor and Director of Innovation Lab with School of Computer Science and Engineering (SCSE) at Nanyang Technological University (NTU), Singapore. He received his PhD degree in Electrical Engineering and Computer Science (minor in Western Literature) from Massachusetts Institute of Technology (MIT), Cambridge, USA, in 2007. Previously he has worked in Cisco to lead product development in content delivery network, which had a revenue impact of 3 Billion US dollars globally. Dr. Wen has worked extensively in learning-based system prototyping and performance optimization for large-scale networked computer systems. His work in Multi-Screen Cloud Social TV has been featured by global media (more than 1600 news articles from over 29 countries) and received 2013 ASEAN ICT Awards (Gold Medal). His work on Cloud3DView, as the only academia entry, has won 2016 ASEAN ICT Awards (Gold Medal) and 2015 Datacentre Dynamics Awards 2015 – APAC (‘Oscar’ award of data centre industry). He is a co-recipient of 2015 IEEE Multimedia Best Paper Award, and a co-recipient of Best Paper Awards at 2016 IEEE Globecom, 2016 IEEE Infocom MuSIC Workshop, 2015 EAI/ICST Chinacom, 2014 IEEE WCSP, 2013 IEEE Globecom and 2012 IEEE EUC. He received 2016 IEEE ComSoc MMTC Distinguished Leadership Award. He serves on editorial boards for IEEE Transactions on Circuits and Systems for Video Technology, IEEE Wireless Communication Magazine, IEEE Communications Survey & Tutorials, IEEE Transactions on Multimedia, IEEE Transactions on Signal and Information Processing over Networks, IEEE Access Journal and Elsevier Ad Hoc Networks, and was elected as the Chair for IEEE ComSoc Multimedia Communication Technical Committee (2014-2016). His research interests include cloud computing, green data center, distributed machine learning, big data analytics, multimedia network and mobile computing. Octavia A Dobre is a Professor and Research Chair with Memorial University, Canada. Previously she was with New Jersey Institute of Technology, USA and Politechnic Institute of Bucharest, Romania. Dr. Dobre was a Visiting Professor at the Université de Bretagne Occidentale, France, and Massachusetts Institute of Technology (MIT), USA. Her research interests include 5G technologies, blind signal identification and parameter estimation techniques, cognitive radio systems, and transceiver optimization algorithms for wireless communications, as well as optical and underwater communications. She co-authored over 200 papers in these areas and gave more than 40 invited talks to industry and academia. Dr. Dobre serves as the Editor-in-Chief of the IEEE Communications Letters, as well as Editor for the IEEE Communications Surveys and Tutorials. She was an Editor and Senior Editor for the IEEE Communications Letters, Editor for the IEEE Transactions on Wireless Communications and Guest Editor for other prestigious journals. She served as General Chair of CWIT, and Technical Co-Chair of symposia at numerous conferences, including IEEE GLOBECOM and ICC. She is the Chair of the IEEE ComSoc Signal Processing for Communications and Electronics Technical Committee, Chair of the IEEE ComSoc WICE standing committee, as well as a member-at-large of the Administrative Committee of the IEEE Instrumentation and Measurement Society. Free registration is on first come first served basis.